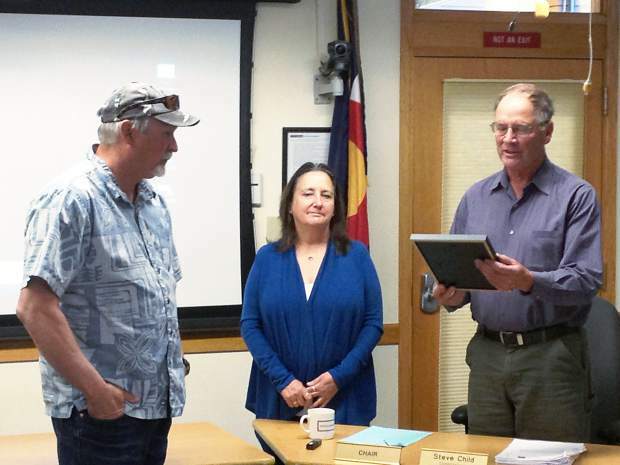 Longtime state wildlife officer Kevin Wright, left, was honored Wednesday by the Pitkin County Commissioners. Chairman Steve Child, right, reads a proclamation while Commission Patti Clapper looks on. Wright served 31 years as the wildlife officer in Carbondale and Aspen before his retirement last month. He was a constant voice in support of wildlife.